Hello! 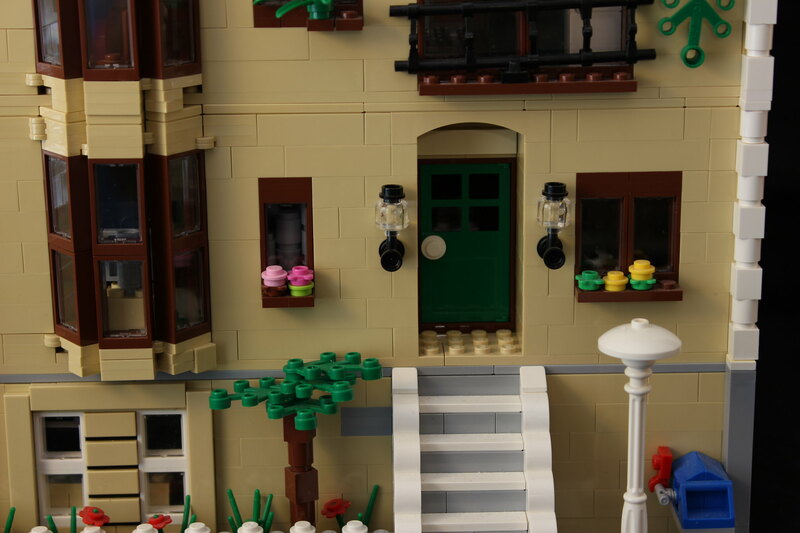 I am back with a new townhouse/mansion MOC. 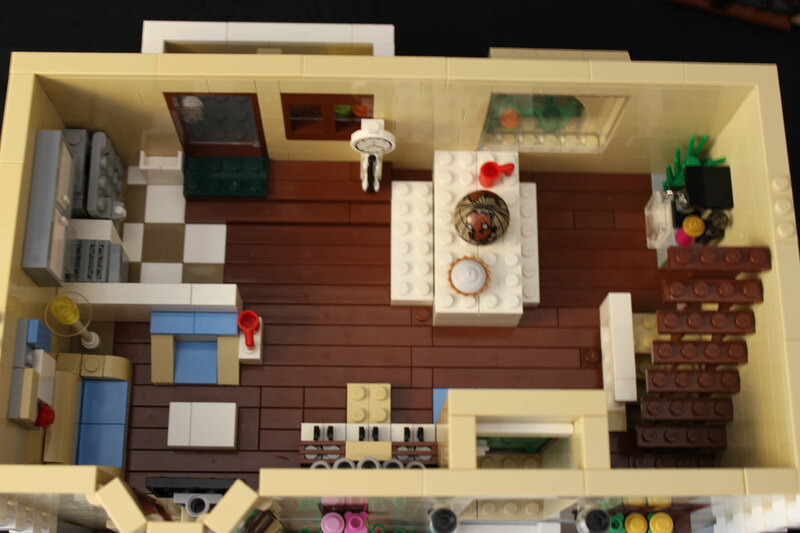 It is inspired by the official LEGO Simpson's House set; however, I found that the set was too suburban to fit well with my urban city, so I decided to take the essence of the house and transform it into a modular building. Here is the front of the exterior, featuring some SNOT technique and a simple, green door. OMG, the Simpsons moved out of Springfield to Capital City! Really cool build :). How does it look in your city?